This post is a holla out to all you window geeks out there. To those of you who question why so many people are ripping out perfectly good wood windows to replace with EnergyStar vinyl windows. 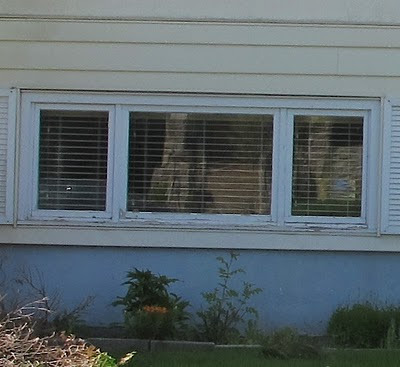 To those who shake their heads at why anyone would install a vinyl window that if one part fails, the ENTIRE WINDOW has to be thrown in the landfill. And these failures aren't happening after 100s of years, but after 15 to 20 years. Wood windows require maintenance to retain their functionality and energy savings. They fail mainly because they are not maintained; the build up of paint creates space between the sash and the frame, allowing air to escape and putty fails if not repaired when damaged. Most of us have lost touch with the art of maintaining wood windows. But it's actually quite easy and can be fun. Wood windows require a few tools and a small amount of materials to repair and maintain. Replacement is all done by a company. The new IG units go in and the wood windows end up in the landfill. Generally there is no reuse of the old window. Labour is the most costly aspect of window restoration. But if you do most of the work yourself, and hand off more major repair work to professional wood window restorers, you will save tons of money. Labour is part of the cost of the window replacement with IG units. depending on how many kids you have bugging you to play with them while you're trying to work. Restoration, if you do most of the work yourself, will cost anywhere from $50 (for some tools, putty and paint) to a few thousand if a window restoration company is involved in the more complex restorations. Replacement can be as high as $15-$20,000. The figure I've heard many times is approximately $100/sq.ft for restoration and $700/sq.ft for replacement. Well, we were up for the challenge. A complete overhaul of your wood windows, if done properly can last for 20 to 30 years (with regular maintenance). One which doesn't remove every stitch of existing paint can last 15-20 years. For the sake of time and kids (who like to think that they are helpful and handy), we opted for the latter option. Our windows are original gorgeous single paned casement Pella windows with interior storms and interior screens for the summer months. They are mostly in good condition but have paint build-up, are stiff to open and some of the putty is failing. Our plan for this year is to restore the largest and the most vulnerable windows at the basement level. We will complete the rest next year. For this restoration, we did not remove the glazing from the sash. This is only required if you are a) a die hard or b) the glass is broken. Here is a breakdown of the Conservation program we undertook for this year including materials required. I recommend to do any restoration work in the summer so the putty can dry in the sun. 1. Photo Documentation. Photograph each and every window prior to restoring and record what type of restoration is required for each window. This survey will serve as a maintenance plan to help monitor the repairs. 3. Colour Testing. We took samples of paint and colour tested to establish original colours. The basement windows were that Ceramic Rose that we found samples of in the basement. The main level and upper windows were cream. I have stored samples in a labelled envelope with the colour marked on the outside for our house file. 3. Putty removal. The putty was removed with an angled scraper or a chisel. Only putty that was damaged or loose was removed. If it was tight against the window, we did not try to remove the putty - it's unnecessary as it's already sealed. Close-up showing area of putty that were removed against glass. We filled the cracks in the putty with a mix of putty and linseed oil. 4. Paint removal. This was a combination of straight scraper to remove loose paint first. Then we used a heat gun and a scraper to remove the paint. If you are close to the glass, it is important to protect the window from the heat or it will crack. As we did just after this picture was take. After this mishap we fashioned a heat shield made from a rectangular piece of cardboard covered in aluminum foil. After the majority of the paint was removed, we used an electric sander with 150 or 80 grit depending on the paint remaining. Heat gun and angled scraper to remove paint. Me sanding the garage windows. 5. Cleaning. Dust was removed and the entire window frame and sash was cleaned with SimpleGreen cleaner. Very environmentally friendly and a good cleaner for all outside elements including stone and brick. Smells yummy too. Smoke stains on inside of basement window. Gross. 6. Conditioning the Wood. The window frame and sash (all the wood components) were then painted with boiled linseed oil. We painted this on until the the wood stopped sucking it up. We allowed this to dry for a few days. 7. Sealing the Glazing. We sealed the glazing using good ol' fashioned putty. Putty has to be well kneaded before use. Do not use any putty that comes in a caulking gun. Using our finely tuned playdough skills, we pressed a bead of putty on the corner of the glass where it meets the wood. We used the angled putty knife to finish the putty into the corner evenly. Be sure to remove any excess putty before drying. Putty is IMPOSSIBLE to remove once it is dry. For those areas of putty that were not removed, we mixed putty with linseed oil (50:50) and mashed it into any small cracks in the original putty. The putty was allowed to dry for a few days in the sun. In a shop this process can take weeks, which is why we recommend restoring windows during the hottest part of summer. Window after paint was removed and linseed oil treatment. Like hot oil for your hair. 8. Primer. After the putty had dried completely, we painted the entire window, including putty and 1/16" onto the windows with primer. If the window was not being painted we would have used Sansin KP-11C, a clear product that acts as a protective moisture barrier. 9. Painting. Not this year for us as we have to finish the rest of the windows next year. But after the primer has dried, paint away. If you have interior storms, be sure to paint the interior portion of the sashes, otherwise you will get moisture build-up on the inside glass. 10. Weatherstripping. Ours was in good shape for the windows that we did this summer, but this is the point to add weatherstripping to the exterior where the sash meets the frame. 12. Final Clean Up. We finished the window by cleaning the glass with 0000 steel wool then polishing up with window cleaner, wiping clean with newspaper. Don't look too closely. I didn't 0000 this one yet. 11. Complex work. Any window requiring more complex work (replacing portions of sash in kind, glazing replacement, sill replacement, muntin replacement) should be completed by a historic window professinal. I'm still trying to source a good historic window repair company in Calgary but in the meantime, Vintage Woodworks, based out of Victoria, BC, is the bomb. This conservation plan is specifically designed for my sweet 1955 Pella's. Let me know if you have something different, including rehanging weights on a double-hung window (pre 1940) and I can help you out. We just had three wooden storms made to replace old ones that were literally rotted. A friend of ours did the woodwork and I should have taken pictures before I primed them. They were gorgeous. Anyhow, they are expensive, but I'm hoping they will increase the value of the hosue and help keep the heat in. 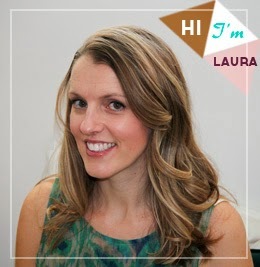 Thank you for this guide, Laura. Though for the past couple of weeks, I don't have much time to repair them. My husband already called some contractors who will replace our windows (SF-based company owned by a family of contractors). We decided to have our windows replaced, especially now that we're starting to experience chilly weather here in Bay Area. This is laborious, so bless you for making the effort and taking the time to do it right! Sadly, I have replacement vinyl windows courtesy of the POs, bu this is invaluable to anyone wanting to keep their wood windows. Found you through your comment on RetroRenovation, btw. Thanks Mulchmaid. We only finished two windows last year so many more to do this year. Very satisfying but does take time. Retro Renovation is one of the best resources out there. If you purchase a window with a ‘no maintenance’ moniker designed to last for 20 years and compare it to the cost of a more expensive landmark historic wood window designed to last for 100 years or more with efficiently planned maintenance, what cost/benefit considerations come to mind? Are you referring to the cost difference between vinyl and a new wood window or restoration of old? New wood windows are more expensive than vinyl but obviously pay off in the long run if you're having to replace vinyl windows every 10 to 20 years. I encourage restoration over replacement with new wood. A lot of times you can replace in kind rather than replace with new - saving in long term costs. Costs can be controlled more efficiently with wood as well. You can hire local trades to restore initially, but maintenance (replacing putty, repainting, replacing cracked glass, re-hanging) can easily be done by a homeowner. Materials are cheap for wood window maintenance and can easily be taught to homeowners through historic window courses available in many major cities in Canada and the US. Hi.. Did you ever find a good window restorer in Calgary. Looking at 100+ year old windows with storms..and some of the glass is about ready to fall out :) thanks! Thanks for the amazing guidance. The benefits of double glazing can be realized through your blog but for more details and extension, an adviser is the best option.